It's NOT really about making their lives miserable or about dissuading them from voting. 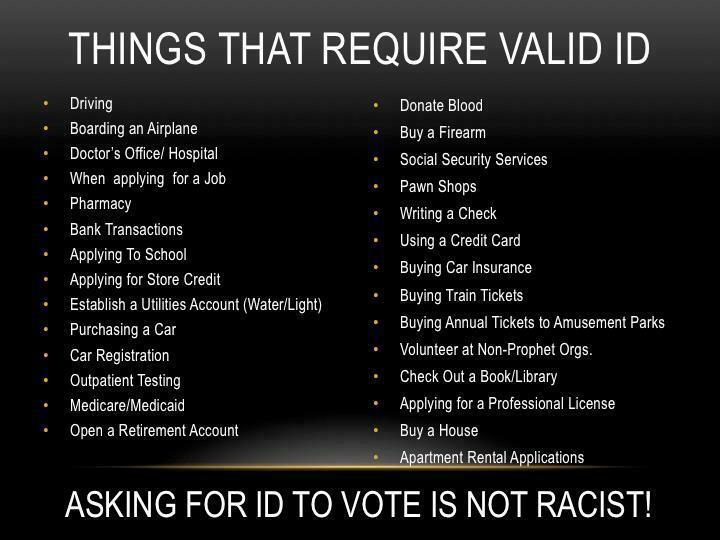 It's all about not being able to get extra Democrat votes from dead people, illegal aliens, and multiple time voters. It's all about having their hands tied and not being able to steal elections. 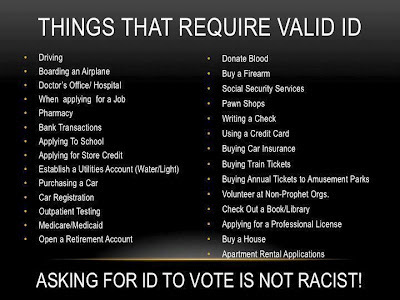 As long as I have to show ID to get a job to earn money to be taxed on to pay for their freebies, I think I have a right to DEMAND that they prove that they are legally voting for the assholes that want me to pay the taxes that pay for the freebies that support them! Well said AA and you raise a valid point about them getting welfare, you need to prove you need welfare in some form or another so why not to vote as well. Like you said, I suspect the main problem lefties have is that it'll make it hard for their constituents to cheat. On my last visit to the doctor's office I had to show a photo ID. Dunno sure why and then my insurance card but you'd think some form of ID they could come up with. I notice an awful lot of people, young people in the libraries at the computers all day on workdays so I'm sure they have library cards to logon with which is a form of ID no? Thanks for dropping by guys, sorry for the delay getting back to you. There is absolutely NO GOOD REASON to not require proof of anyone attempting to vote. Voting is the most important of all of our rights. We must protect it at all costs. Allowing the leftards the chance to steal elections is just not acceptible!